Posted on 26 December 2012 and filed under Clutch Bags, Très Chic. Photo source: Kuća Kallina | Facebook. Bats – where from, why? There is an Art Nouveau building at the junction of Masarykova and Gundulićeva streets in Zagreb. It is called Kuća Kallina (Kallina House). The building has been built 1903-04 for industrialist Josip Kallina, it was designed by the architect Vjekoslav Bastl. This beautiful building is covered in ceramics tiles, produced by Mr Kallina’s ceramics tiles factory. In the spirit of its era Kuća Kallina is decorated with floral and geometric motifs on the facade and on the balconies, well, everywhere… To me, Kuća Kallina is the most beautiful building in Zagreb. A row of bats decorating the first floor windows is my favourite detail on it. 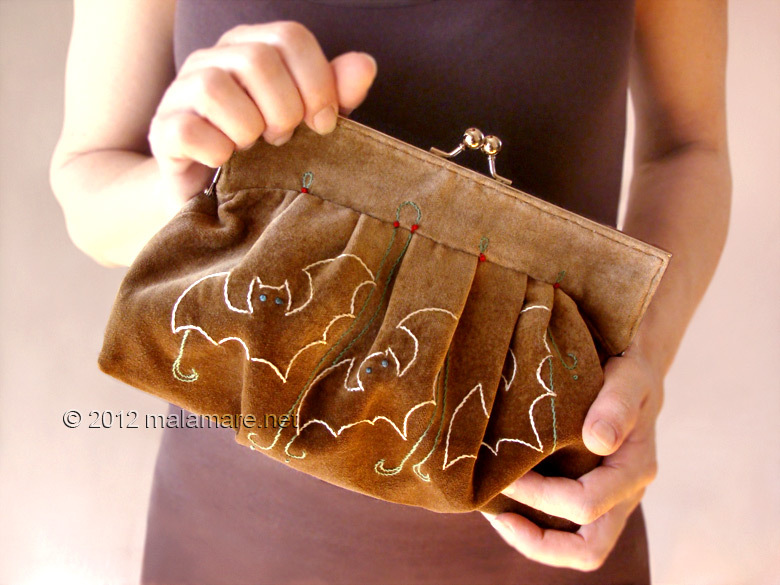 It inspires me to play with bat motif, again and again. 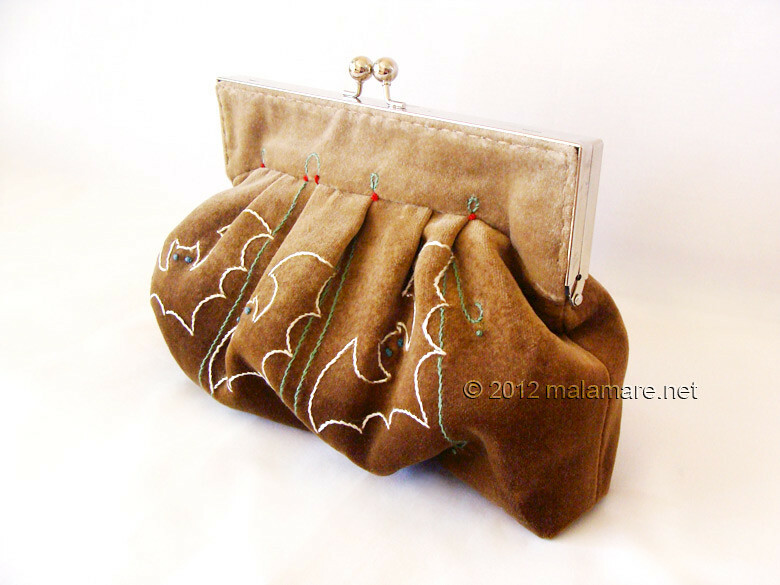 Here it is on a velvet clutch bag. 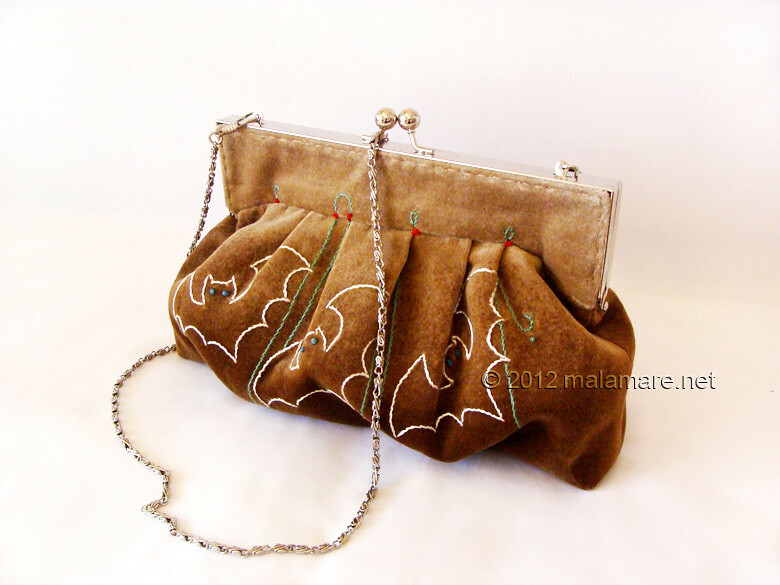 I made Velvet Bats from cotton velvet fabric, with colour shades flowing from light mocha to dark mocha brown. 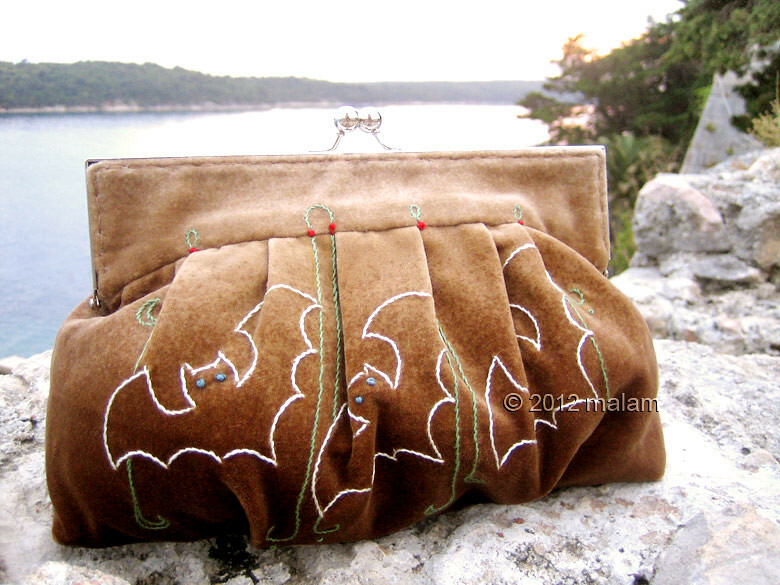 I hand embroidered bats and swirls motifs on the both sides of the bag using ivory, green and red embroidery thread. 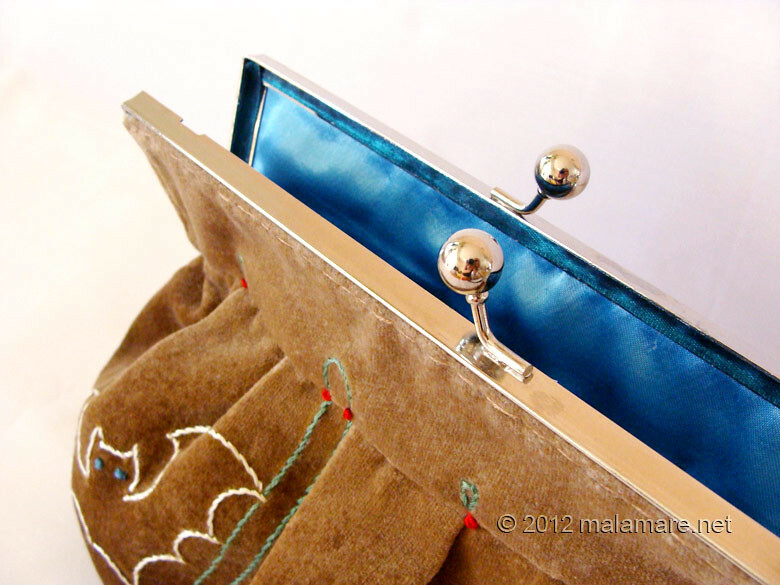 Inside of the bag is made from turquoise satin fabric. 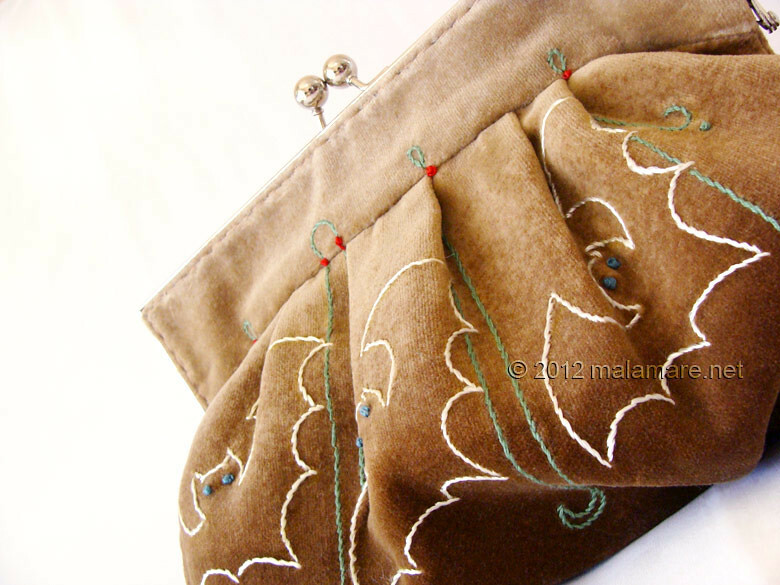 The bag has been sewn onto a purse frame, and it has a chain that can be used to carry the bag over the shoulder or across the body. The purse is approximately 15 cm high and 22 cm wide. koja luda ideja a tek izvedba! mrak!